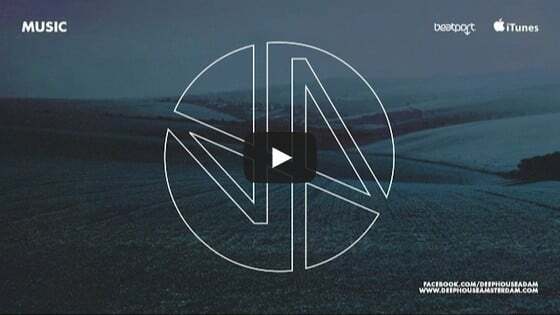 Hailing from Tuscany, Marco Faraone is a prolific and versatile DJ & Producer. 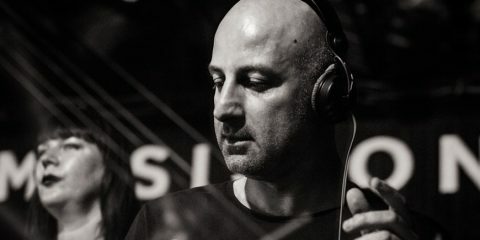 A Tenax resident, globe trotting DJ, and Producer who’s music has been heard on the likes of Drumcode, Desolat, Be As One, Sci+Tec, Moda Black, Holic Trax, Get Physical and Truesoul, Marco Faraone is also a core friend of fellow Marco (Carola) Music On crew. This Friday, 1 September, Marco Faraone ushers in the new month at Music On. 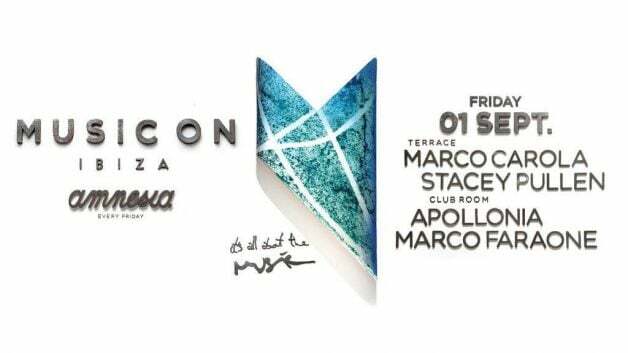 On this Amnesia Ibiza evening will also see Marco Carola, Stacey Pullen, and Apollonia. Ahead of the night, we caught up with Marco to get his own impressions on Music On, Ibiza, and the summer 2017 season. How has your summer been going? Where have you been? Where are you going? What have been some favorites places? This summer was amazing and with many new goals for my DJ career. I’ve been playing in many of the most important clubs and festivals in the world and had the chance to visit some very beautiful and new places where I never been before. Summer was busy and very hot! September normally is a quiet month is going to be crazy as well, and will see me touring in south America playing in Argentina, Peru, Brazil, Uruguay, Paraguay, Colombia and even some European important shows at the beginning of the month. The scene in South America is growing a lot and I’m very happy for that because we need more amazing places to play in this scene. Some favorite places? Ibiza for sure was incredible in every show i played but also iconic summer venues like Mykonos, Croatia, and South of Italy. On Friday, you will be joining the Music On 2017 experience at Amnesia. Tell us about your relationship with Music On? How did it form? Everything was very natural. I played with Marco in a couple of events in Europe and I still remember that he came to come after my warm up at cafe d’anvers in Belgium and told me a lot of compliments. Marco normally never does that, he’s always very straight and doesn’t say anything if he doesn’t feel it. We played some other shows together and after some he told me his interest of bringing me to music on in ibiza. I just wait for his call that came right before the last summer and he invited me. I’m very happy because he has trust in my music, without compromises. This is what for me means real support and i’ll do my best to make him proud of me. 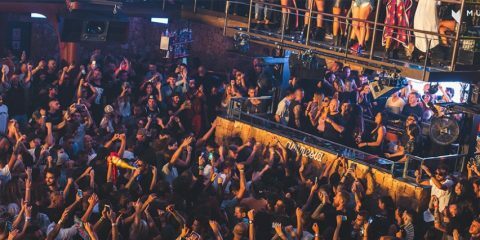 How do you see Music On as an Ibiza party brand? Fridays at Amnesia is surely a desirable residency to have, what, in your opinion, makes Music On deserving of this? Its a real family, the flow of work has some magic inside. Its not just a production, the people working around it are bringing a special vibe and honestly, Italians know how to party. Im not saying that because I’m part of the Italian scene but because try to ask to some DJs how’s to play in Italy 🙂 its magic. Its an amazing residency and opportunity for my career and expression for my music. Ibiza has a specific sound and that makes me learn always something more. Marco is a real legend and i’m honoured that he called me to be part of this journey. …and how do you view Marco Carola as the captain of the Music On ship? Eheheh, what can I say about Marco..? He’s an artist that created this scene. Everything what he plays has an incredible taste, even when he’s more housey or techno. He’s a real DJ, a guy that perfectly knows how to bring the people to enjoy the party. When I started DJing he was already on fire, a real pride for our country to have such a big artist capitain of our ibiza’s and Italian movement in the world. Ibiza is magic, even if a lot of things are changed there. First of all the people. This is not just my opinion but also my collegues one. The island became too expensive for a lot of people, especially the real clubbers. Beside that the production of the events is still amazing. My first time on the island was 11 years ago when I turned 18. 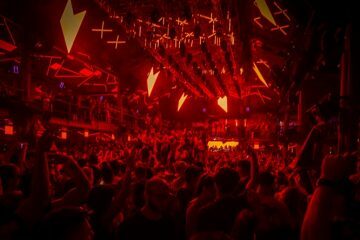 Words can’t describe the feelings of my first time at dc10 and amnesia. I still remember that as now. Give me three tracks that you’re hammering out this summer? Im very looking forward to go back to Aouth America, everytime I go and come back I’m full of new inspiration for the studio sessions, I even produce a lot on the road, there is always magic. Finally, how do you maintain your health and mindfulness through the rigors of the summer a season? Do you have a protocol to maintain your balance?